Noorani I. 140 Genome-wide CRISPR/cas9 Knockout Screens in Human Glioblastoma Identify Genetic Vulnerabilities[J]. Neurosurgery, 2016, 63: 157. Zhu S, Li W, Liu J, et al. 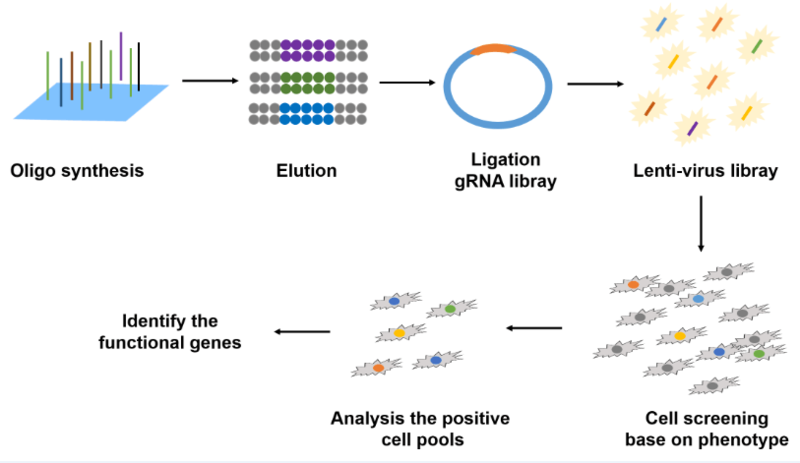 Genome-scale deletion screening of human long non-coding RNAs using a paired-guide RNA CRISPR-Cas9 library[J]. Nature Biotechnology, 2016. Shalem O, Sanjana N E, Hartenian E, et al. Genome-scale CRISPR-Cas9 knockout screening in human cells[J]. Science, 2014, 343(6166): 84-87.